As your engine runs, dirt gets into the oil. Oil sludge can also start to build up. Fortunately, motor oil contains detergents that clean the engine and gather up contaminates. The oil circulates through the oil filter where clumps of dirt and detrimental sludge are captured. 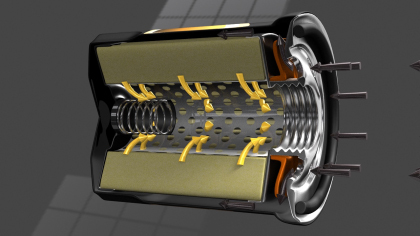 An oil filter can eventually get clogged up – so much so that oil cannot flow freely through the filter material. Of course, GRAND ISLAND car owners don’t want to starve their engines of oil, so a valve opens in the oil filter allowing oil to bypass the filter material. This keeps your engine lubricated, but dirty oil is circulating through the system. Back in the day of 3 month, 3,000 mile oil changes, this was only a problem for GRAND ISLAND drivers if they forgot to change their oil on schedule. Modern vehicles, however, frequently have much longer recommended oil change intervals. 5,000, 10,000, and even 15,000 mile intervals are common. Of course, you need to use your auto manufacturer’s recommended type and grade of oil – but you also need to use a higher capacity oil filter. A standard capacity oil filter could go into bypass mode many months and several thousands of miles before the recommended oil change interval. Your sedan engine would not be fully protected. Many GRAND ISLAND car owners are choosing to upgrade to synthetic oil for better protection and to increase their oil change interval. This is a great idea. But remember it is essential to have an oil filter that has a higher capacity to match. You can communicate with with your Whitaker Auto Repair technician about your oil change intervals and how you use your sedan. He will tell you how to choose the right oil for your needs and will make sure that your new oil filter is compatible with the performance of your oil. An oil change at your local GRAND ISLAND NEBRASKA auto shop: Sounds simple, but there’s some pretty important things to know about preventing oil sludge. Also how you drive around GRAND ISLAND NEBRASKA can have a big effect. Most owner’s manuals will have a list of driving conditions that are harder on your vehicle. Things like stop and go driving in GRAND ISLAND, short trips to Wood River, driving in very hot or very cold weather, heavy loads and towing. If some of your driving fits this, you may need to change your oil and do other maintenance on a shorter schedule. This may sound complicated. Some vehicles in NEBRASKA have an oil life calculator that takes all of these factors into account and tells you when you should change your oil. Otherwise, talk with your NEBRASKA service advisor at Whitaker Auto Repair about how you drive and get her recommendation for when to take care of your service. Finally, if any of the steering or suspension parts can be lubed, your technician at Whitaker Auto Repair will take care of that with a lube, oil and filter service.